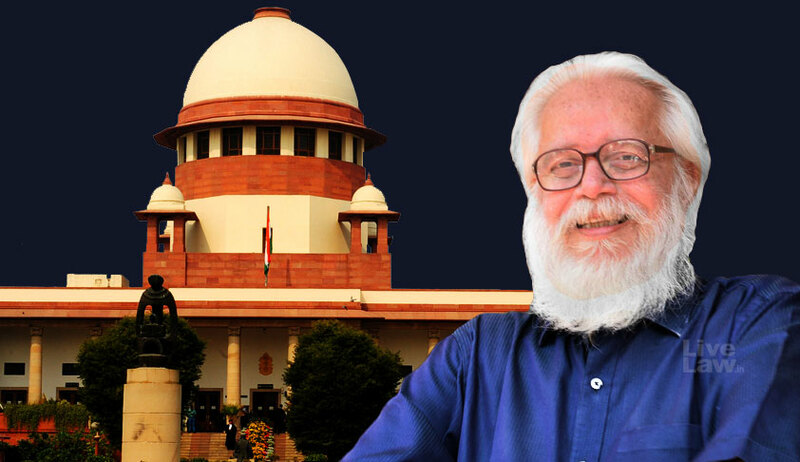 The Supreme Court has reserved judgment in the petition of former ISRO Scientist Nambi Narayanan for action against former top officials of Kerala Police who had allegedly subjected him to torture and illegal detention in connection with the infamous ISRO Espionage Case. Nambi Narayanan's petition challenged the judgment of the Division Bench of the High Court of Kerala(Siby Mathews v. Nambi Narayanan ILR 2015(2) Ker.521), which upheld the decision of the Kerala Government to drop disciplinary proceedings against officials of Kerala Police- Siby Mathew (former ADGP), and two retired Superintendents of Police, K.K Joshua and S.Vijayan. The Single Bench had quashed the Government Order, directing the reconsideration of the matter. This order of Single Bench was challenged by the officials in intra-court appeal before the Division Bench, which reversed the single judge's directive. Nambi Narayanan, an alumnus of Princeton University, was ISRO's project director for development of cryogenic technology when he was arrested by the Kerala Police on the allegation that he was involved in leaking official secrets to a spy racket involving Maldives nationals. He was detained for over 50 days and was allegedly subjected to torture at the instance of top officials of Kerala Police and Intelligence Bureau. The case was later taken over by the CBI. The central agency found that the case baseless, and filed a closure report. The CBI report also listed several lapses committed by the officers of Kerala Police and recommended action against them. The Kerala Government then issued a notification dated June 27, 1996, and directed further investigation in the case by the first investigation team. This action of the state was challenged by Narayanan before Kerala High Court, which had upheld the notification, consequent to which Narayanan approached the Supreme Court. The apex court allowed the criminal appeal (492/1997), vide judgment dated 29-04-1998, and quashed the notification. Many laments that the illegal arrest of Nambi Narayan delayed India's progress in cryogenic technology for over a decade. The present appeal of Nambi Narayanan was considered by the bench of Chief Justice Dipak Misra, Justice A M Khanwilkar and Justice D Y Chandrachud. Earlier, the Court had hinted ordering compensation to Nambi Narayanan. Today, while reserving orders on the petition, Justice Chandrachud orally observed that justice has to be delivered to Nambi Narayanan. The counsel for the CBI submitted that a Court-monitored probe was necessary against the officials who implicated him. The counsel for Siby Mathews denied the allegations and asserted that he was a responsible officer who had also headed the State Information Commission.